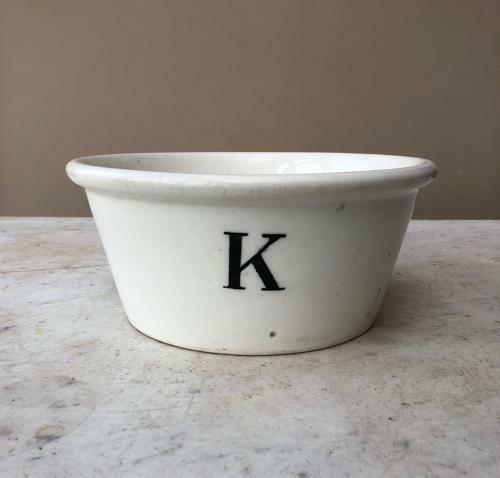 Rare & Lovely Condition Edwardian White Ironstone "K" for Kitchen Bowl. So hard to find and especially in this condition. No damage just age crazing. Two little glaze imperfection spots. A wonderful early kitchen antique.